How many of you have heard of NFC? NFC is the latest short-range radio communications standard taking the mobile world by storm. In fact, if you have a new Android phone, there’s a good chance it has an NFC chip inside. NFC stands for Near Field Communication, and it’s a standard that allows devices to establish radio communication with each other when brought within close proximity of one another. The majority of users with NFC enabled devices have mostly used them to “beam” contact info between devices or most notably: for contactless payment services such as Google Wallet. But did you know, you can essentially automate your mobile life using NFC and a little product called an NFC tag? That’s right, with a simple touch of your device to an NFC tag, you can launch apps, set alarms, activate navigation, and much, much more. It’s a convenience that will automate your tasks and ultimately give you more free time to, well… take on more tasks. 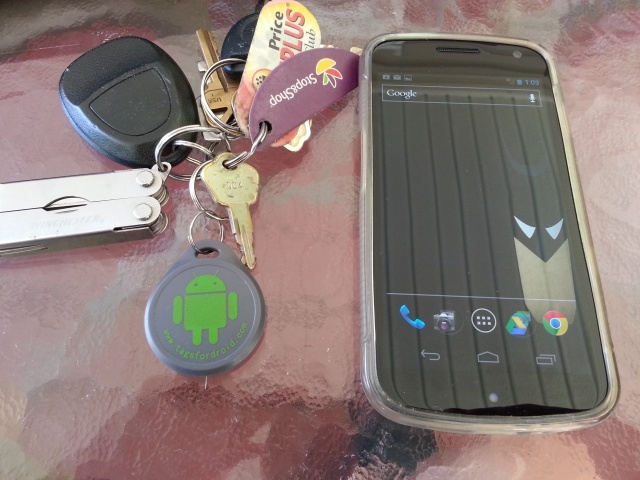 NFC tags are not only useful, but bring all the geeky coolness (is that an oxymoron?) you can ask for to your mobile device. I’m going to show you just how fun and functional these little tags can be and I’ll be doing it using the coolest little NFC tags around: TagsForDroid — along with an app called NFC Task Launcher. If you’re an Android fanatic looking to delve into the world of NFC, TagsForDroid.com provides NFC tags at an affordable price, as well as being the only tags to host our favorite little Bugdroid mascot. That’s a pretty exhaustive list, and one I should have just said “a lot” instead of listing out, but what’s the fun in that? So how does the whole process work? I’m going to walk you through a few tasks I set up from basic to bizarre and show you just how easy it is to automate your mobile life using NFC. Purchase some NFC tags from TagsForDroid.com (or anywhere else you desire, but we’re sold on Bugdroid). Download an NFC reader/writer app such as NFC Task Launcher. At this point, you’re ready to get automating and are limited only by your imagination, your NFC reader/writer app, and NFC tag memory. Here’s a step by step of the tasks I set up using a Samsung Galaxy Nexus, NFC tags from TagsForDroid.com, and NFC Task Launcher. 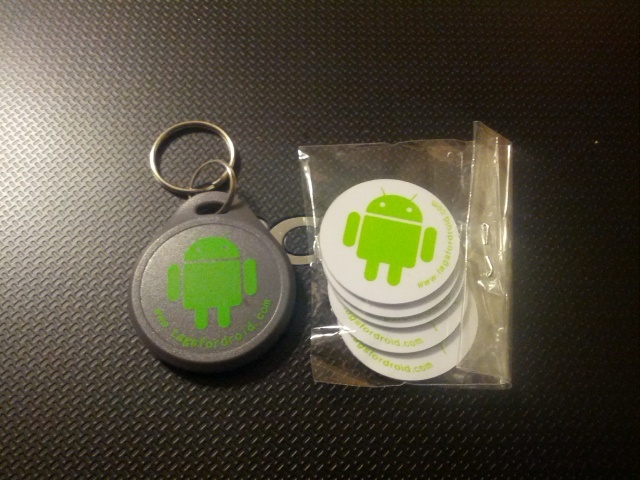 The first task I setup was for the NFC keychain that came with my TagsForDroid bundle. I created a simple silence/vibrate task using NFC Task Launcher in order to put my phone on vibrate once touched to the keychain. I use this for all those times I’m entering a “please turn off cellphones” area such as a movie theater or doctor’s office. Since I always have my keys and my phone handy, I found this to be a simple and functional task to always have available. The first tap sets my phone to vibrate, the second tap turns the ringer back on. For my second task I setup a tag to activate my wireless tether/hotspot for when I’m on the road and working. 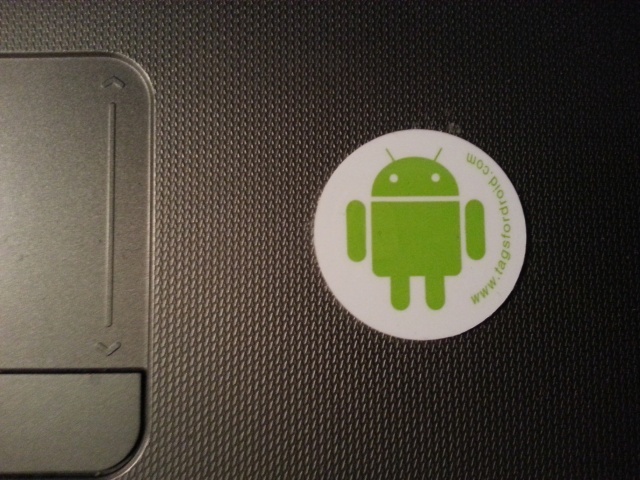 I affixed the tag to my laptop for easy access and it also adds some Android spirit to my non-Android laptop. When I touch my phone to this tag it shuts off my Wi-Fi and turns on my mobile hotspot feature so I can connect to the internet with my laptop via my phone’s data connection. When I get home or somewhere where there’s a wireless connection, I simply tap my phone to the tag again and it turns off wireless tethering and turn Wi-Fi back on. The third task I setup was for when I’m in the car and need to use Google Maps. 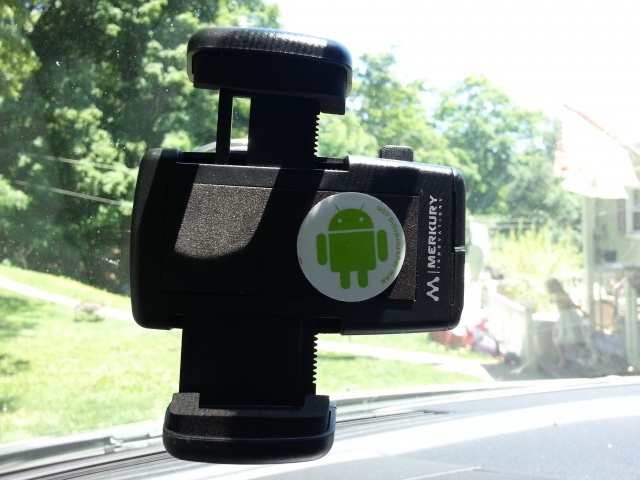 I have a universal phone mount for my car and so I affixed an NFC tag to it and wrote a task to activate Google Maps when I put my phone in the cradle. 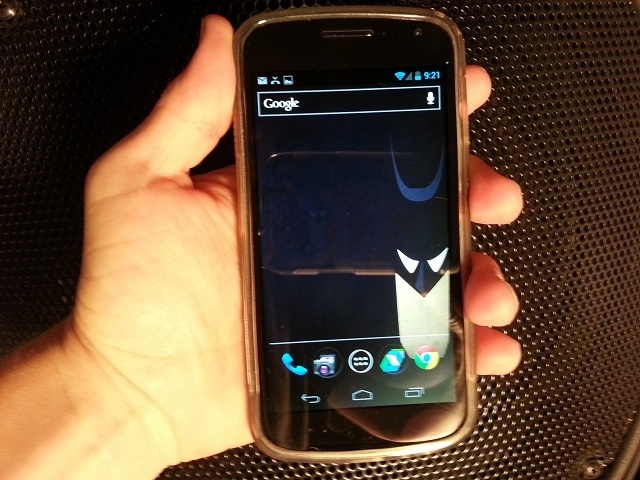 The last task I setup was one I’ve been dreaming of ever since NFC hit the mainstream. If you’re a Germaphobe or Mysophobe, you may want to skip this last task. The majority of time I spend playing mobile games just happens to be when I’m in the bathroom (yep, I went there). I decided to affix an NFC tag to my toilet to activate whatever game I’m into at the time, making for a quick and easy sit and play. I told you might want to skip this last one. See how much fun NFC can be with a few Bugdroid tags! These are only a few basic tasks, but tasks that help make my life a whole lot easier. You can take things to a whole new level depending on your needs, and with enough NFC tags, you can have a task for just about everything. 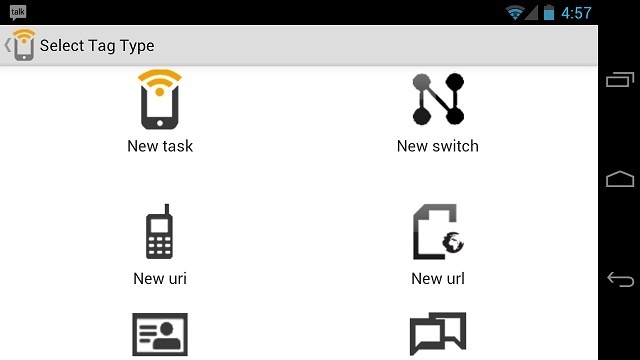 Below you’ll find links to the tags used, as well as the NFC Task Launcher app.